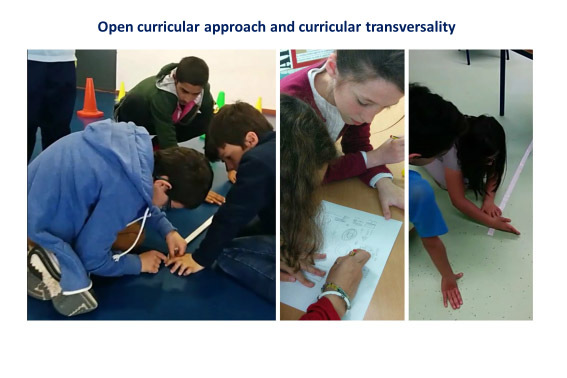 The idea to develop this project came as an exercise that had as reference the terms of the Program “Gulbenkian Qualificação das Novas Gerações – Promoção de Mudanças na Aprendizagem” (Qualifying the new generations – Promoting changes in learning). 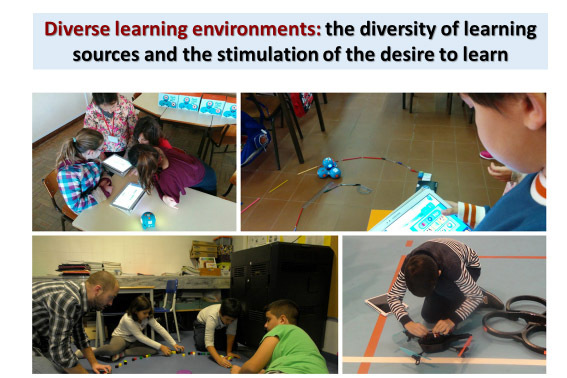 The challenge of this program was to design and develop a proposal for a formal education model that would be able to present a dynamic answer to promote the introduction of real and significant changes in the way and contents of the learning activity. The demands of an educative society and in fast transformation in diverse sectors e domains of human activity point to the need to develop processes that guarantee the acquisition of new learning based on new competences that nowadays are not covered by the traditional learning ways formal contexts like schools promote. 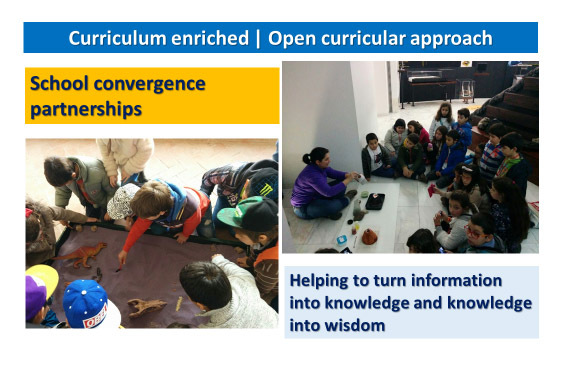 Those differences between the needs of contemporary societies and the processes and results school can offer is the starting point and at the same time what stimulates que collaborative search to build the necessary answers at formal education level. 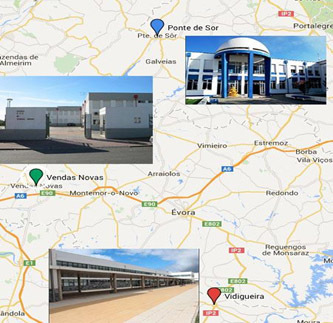 This project is being developed in three schools of Alentejo, onde of the most poor regions in Portugal. We’ve been working with the same students for the past three years. We have around 150 students now. For the first two years those kids had only one teacher per classroom since they were k-3 and k-4 students. Nowadays they just finished k-5 and they had lots of different teachers based on the different subjects they were learning. 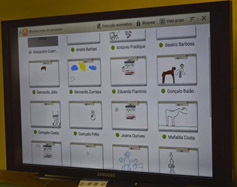 In this project students and teachers are larning how to work in a more technological environment. 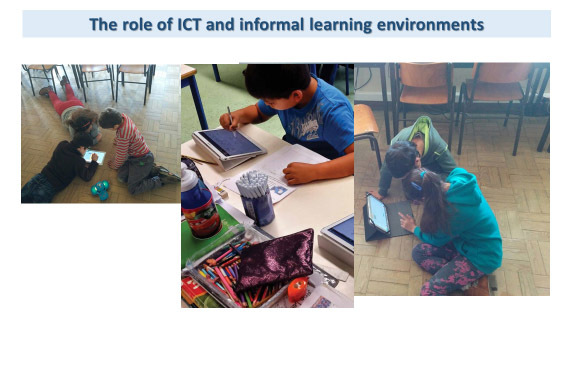 In this environment they work not only digital skills but also wellbeing based on open curricula. This project is being funded by Fundação Calouste Gulbenkian (Website) and sponsored by Samsung Portugal (Website). Against all literature regarding 1:1 distribution models we chose not to offer technology directly to the students and teachers. Instead we made the decision to offer all the equipments to the school and then they distributed the equipments to every student and teacher. In sum, all the equipments belong to the schools although everybody has one equipment for himself to work with. Those equipments also stay at school almost always. 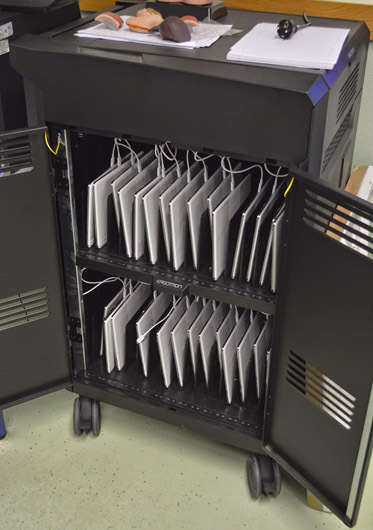 Students take their tablets home when their teachers allow them in order to develop certain learning activities. Then those equipments come back to school to guarantee they are always available and be taken to work. 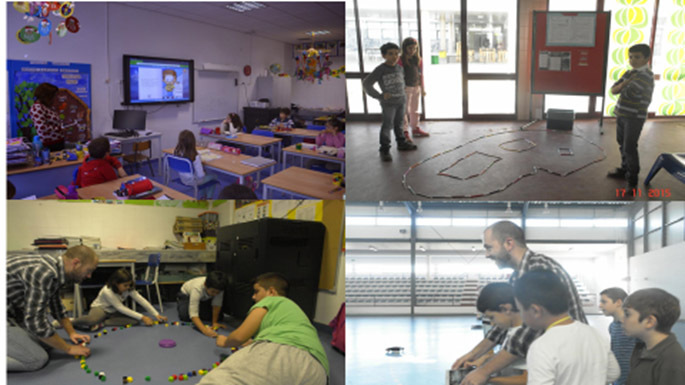 We have created a specific time in those students schedule to help them learn code and robotics called Gulbenkian XXI Clubs. 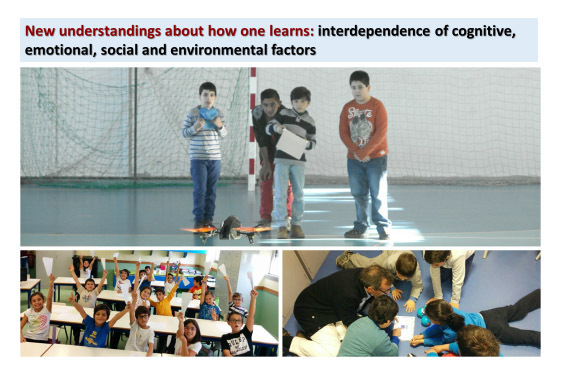 Basically we’ve been helping them develop their computational thinking skills always trying to use the official and formal curricula as the basis for each activity developed. This project is responsible for giving all the students and teacher we work with the opportunity to live different learning experiences. 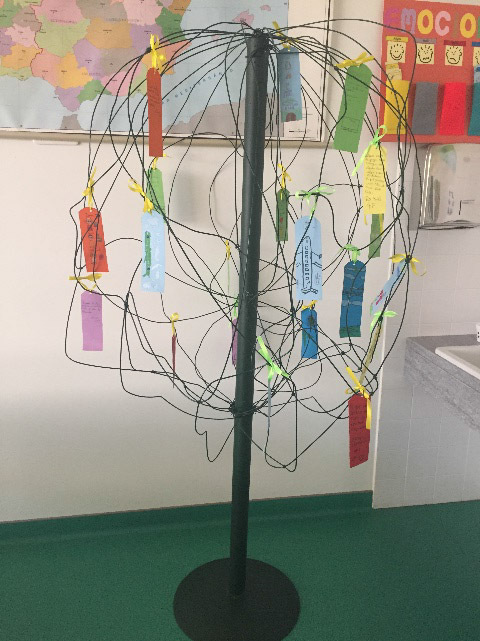 From visits to modern art museums to Science Centers they have had contact with many different interesting and demanding opportunities to learn the same things they are supposed to learn, because they are part of the official curricula, in several diverse ways. Those activities have been helping them develop their imagination and creativity, their collaborative skills and teamwork, their relational skills regarding emotions and feelings and, of course, those activities we’ve been developing with and for them are becoming more and more the main support they have to be able to live and change the world they live in. A video on activities can be here.